At Gold Coast Orthodontics, we listen to our patients because we feel each patient is unique and deserves a unique approach. We believe in the importance of good diagnosis and planning, because it leads to good treatment. To that end, we utilize state-of-the-art technologies, and stay current on scientifically sound principles and techniques, in order to provide our patients with unsurpassed care. We believe that providing our patients with choices allows them to receive the care they want and deserve when they may not have thought possible. 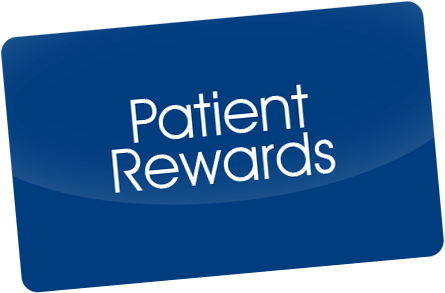 We care for our patients, we love what we do, and we love doing it in the best way we can! We believe that each person is unique, and that orthodontic treatment should not be the same for every patient. From the initial examination appointment, we will invest time listening to you and your desires. Depending on your case, we can utilize a host of diagnostic tools, and use the most current diagnostic imaging such as intraoral scanners and cone beam scanners. We also utilize 3D scanners and X-rays that allow us to diagnose and simulate treatment in a way that we have not been able to do before. We can design 3D plans and to create customized appliances such as robotically fabricated archwires and staged removable aligners to provide the best, most effective treatment. Finally, as cases become more complex, it requires an inter-disciplinary approach to care. Dr. Huang works closely with other dental professionals who share his same treatment philosophy in order to provide the most comprehensive care to our patients. 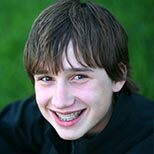 We provide you with choices when it comes to your orthodontic treatment. We offer a range of treatment options that are designed to improve clinical outcomes, and provide you with treatment options that address common concerns such as duration of treatment, frequency of office visits, and the cosmetic appearance while undergoing orthodontic treatment. 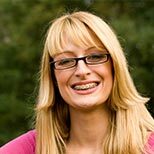 If you are concerned about how you’ll look during treatment, you can take advantage of clear braces, lingual braces (braces behind the teeth), and clear aligners. If you’ve been reluctant about orthodontic treatment in the past, these cosmetic-oriented treatments can give you the smile you’ve always wanted without compromising aesthetics. 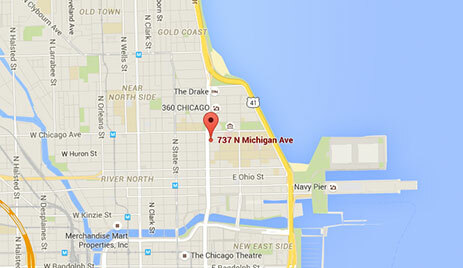 Our Chicago orthodontic office features state-of-the-art technology. We utilize 3D CAD/CAM technologies such as SureSmile®, in order to digitally plan and create robotically fabricated, extremely precise orthodontic archwires. Furthermore, the archwires are super-elastic and programmed with shape memory so that they can move teeth to the desired positions very effectively and with fewer office visits. 3D CAD/CAM technology is also used in our office to effectively plan clear aligner therapy, such as Invisalign®. We genuinely care for our patients, regardless of age, and successfully treat a multitude of orthodontic problems. We treat young children, who are growing and developing, and utilize growth modification and orthopedic therapy that can help prevent or decrease the severity of certain problems. We treat children and adults who are seeking cosmetic improvements, but otherwise have healthy function. We treat patients who have multiple cosmetic and functional problems such as crowding, missing teeth, dento-alveolar deficiencies, skeletal imbalances, airway issues, and have a complex treatment plans involving endodontic, periodontal, orthodontic, surgical, and restorative problems. 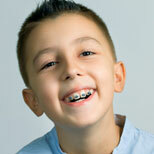 Please feel free to contact our Chicago orthodontic office and schedule a complimentary orthodontic consultation. Your lifetime of happy smiles starts here!